Each summer Flagship Cinemas shows free summer movies three days a week for groups and the general public. They are showing a great selection of family and kid's movies this summer. The 2018 free summer movie program at Flagship Cinemas is called Camp Flagship. Below are all the details you need to know, like when the movies are playing, how to get to the theater, and some things to remember before heading out. The free summer movies at Flagship Cinemas are shown from June 12 through August 9, but not every single day. The free summer movies play on Tuesday, Wednesday, and Thursday mornings at 10:00 a.m.
See the movie schedule below for the specific days that these movies are showing. Visit Flagship Cinemas and put your mouse over the Locations menu to choose the Flagship Cinema location that you'd like to visit to see a free summer movie. Select the "Camp Flagship" image on the page to bring up the schedule for your location (it might be on the left or top of the page). 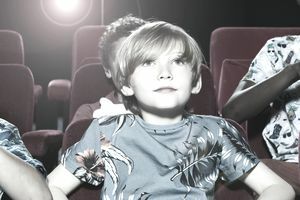 Not all the Flagship Cinema locations may be participating in this free summer movie program, so be sure to check the details for each location on the website or give them a call. Some locations might be playing different movies or the same movies but on different days than what's listed above. To make sure you're reading the right schedule, follow the Flagship Cinemas link above to your local theater. The flyer on that page is specific to your theater. The doors open at 9:30 a.m. for most locations. If you have a group that wants to visit Flagship Cinemas to watch a free summer movie, you'll need to call the local theater and make reservations for the number of seats you want. There's a list of phone numbers for each location on their contact page. Flagship Cinemas isn't the only theater offering free movies this summer. See this list of free summer movies in 2018 for information on where else you can go to watch free movies this summer. A few examples include Marquee Cinemas, Showcase Cinemas, and Bow Tie Cinemas.